The discs in your spine consist of a jelly-like nucleus pulposus surrounded by annular fibers. Disc herniations are often caused by long-term overloading of the disc. Such overloading may be caused by poor posture, muscle imbalances, and improper movements. 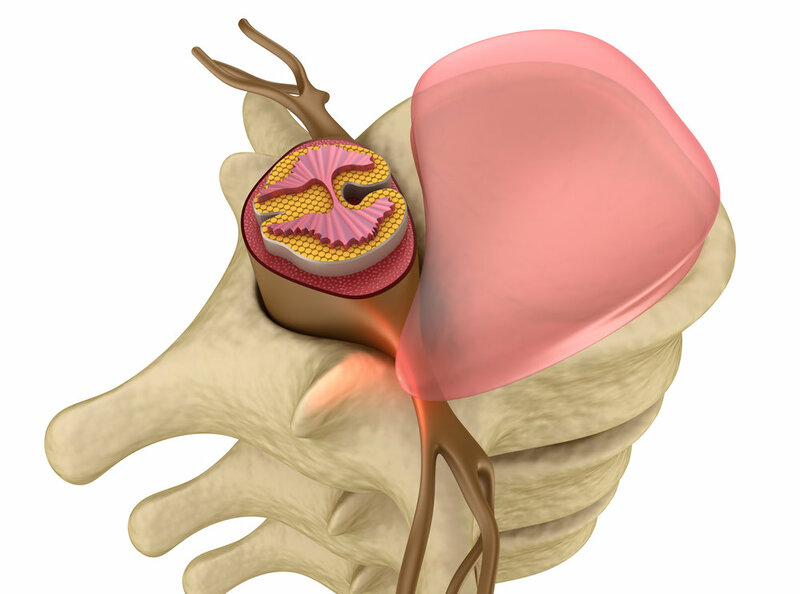 Patients with herniated discs often have a history of intermittent back pain. Trauma such as an auto accident or fall can also cause a herniation. Often times when the interior portion starts to protrude or bulge, contact with the spinal nerve segment will cause symptoms. Aside from back pain, patients may experience leg or arm pain, weakness, numbness or tingling, and possible loss of strength. Chiropractic is one of the most effective options for improving pain, function and mobility.